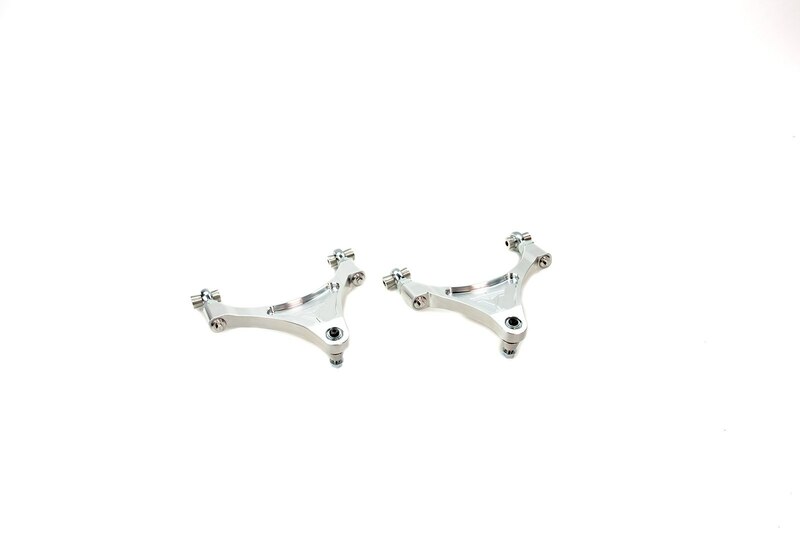 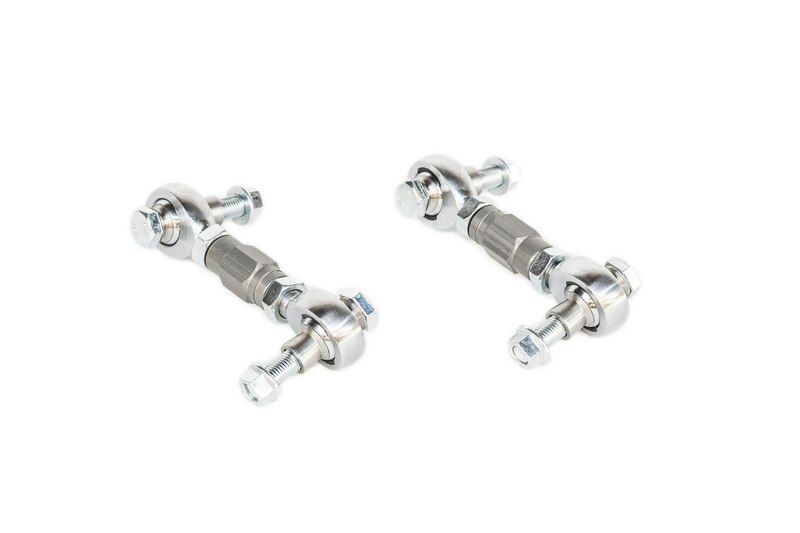 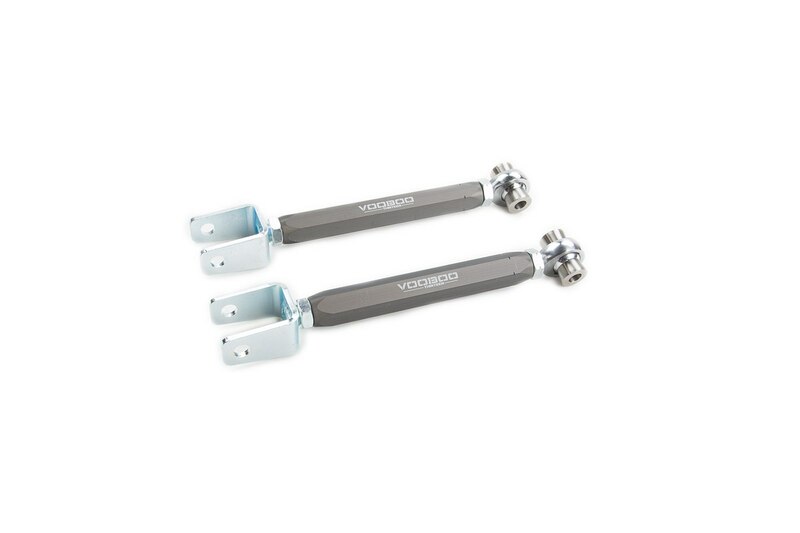 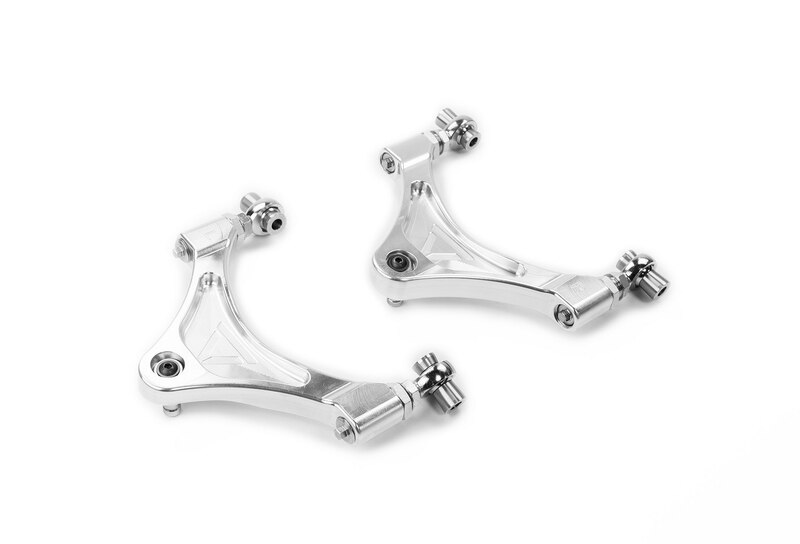 Voodoo13 rear adjustable endlinks are designed and engineered to handle the stiffest aftermarket sway bars. 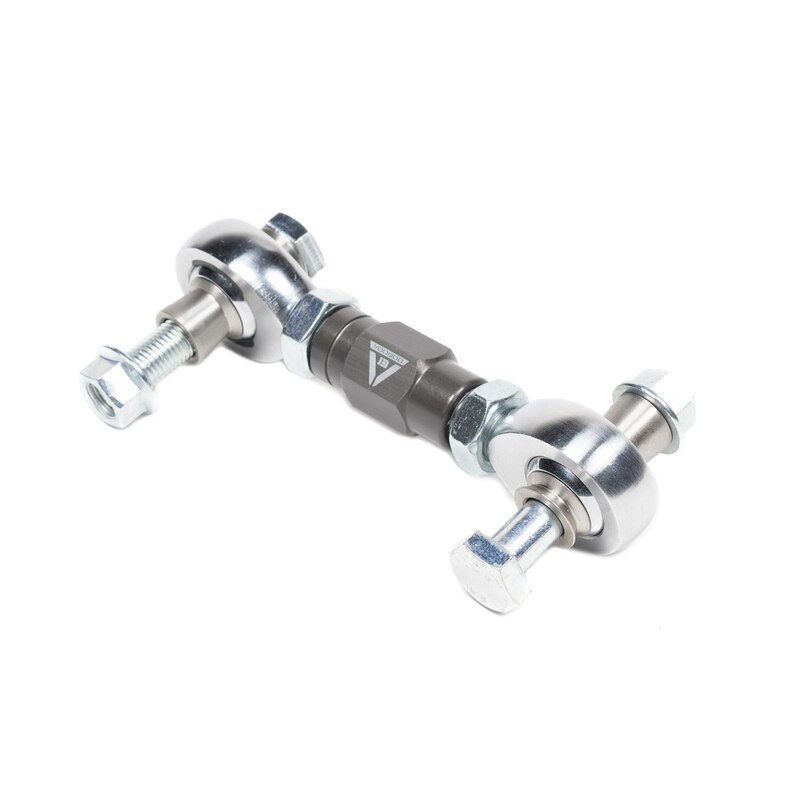 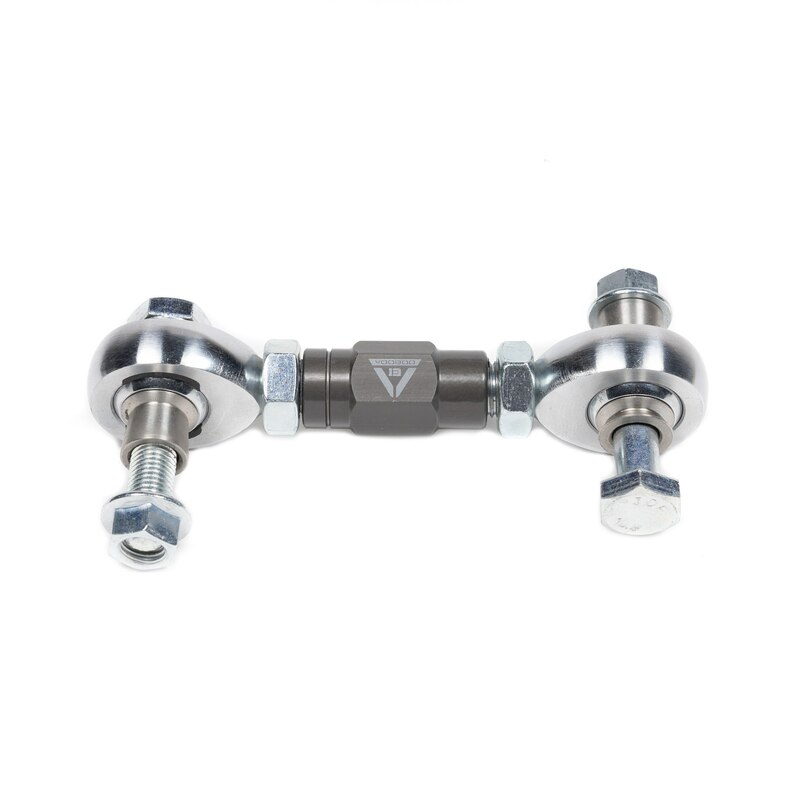 To prevent binding issues with aftermarket swaybar mounting locations, the endlink includes high misalignment spacers to achieve a remarkable 65 degrees of misalignment. 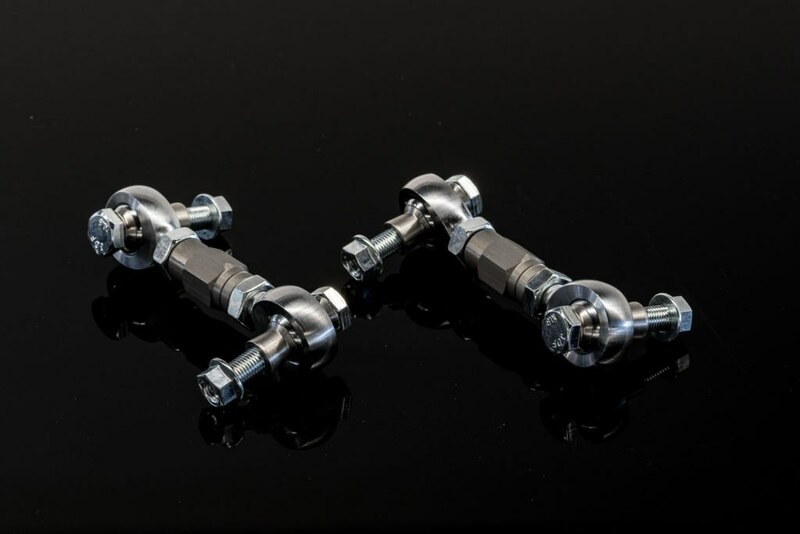 These endlinks are length adjustable to dial out preload in the sway bars due to uneven height or distribution of weight. 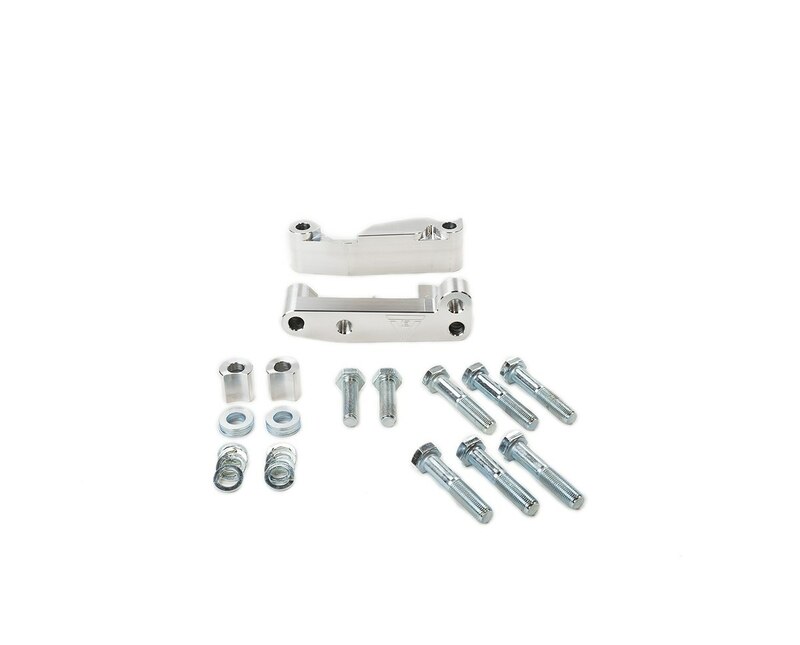 Includes high strength grade 10.9 bolts and the QA1 heims nylon/PTFE injection molded race that keeps dirt and debris out.